When designing a home, you cannot neglect your bathroom, the place where many of us start and end our days. The bathroom should be a place of relaxation and serenity, which is easy to accomplish with a warm, rustic aesthetic. Focusing on organic textures, colors, and materials are the basic elements that make rustic design so beautiful. Whether you are in the quiet countryside or in a bustling city, we've gathered 12 rustic bathroom fixtures and accessories that have a vintage and rural feel guaranteed to make your mornings a lot more charming. Crafted from reclaimed solid pine and MDF (medium-density fiberboard), this console is the perfect vanity for your rustic bathroom. The distressed wood, topped with gorgeous white Carrara marble, makes this a powerful statement piece. The use of black iron is a metal detail found in many rustic styled spaces. 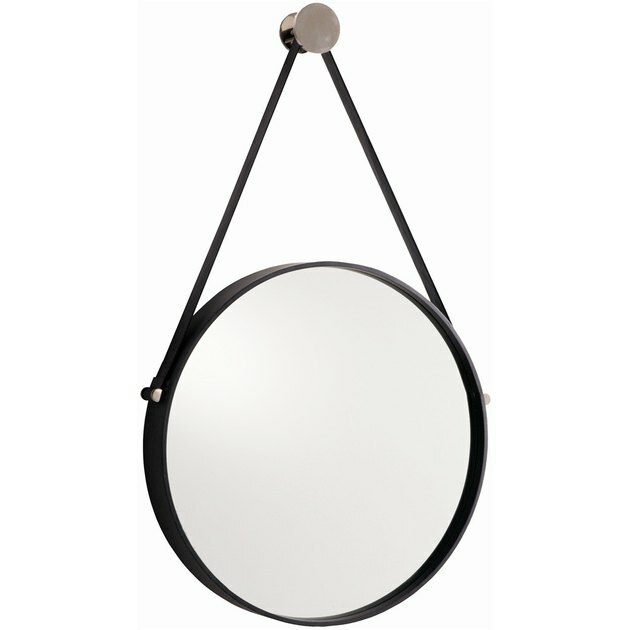 This round mirror with a black iron frame and polished nickel hardware is an excellent example. 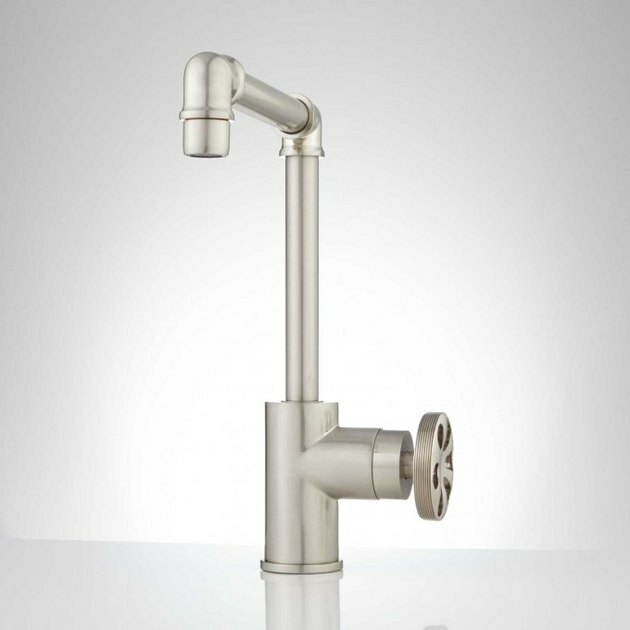 This single hole faucet in brushed nickel combines industrial style with modern functionality. When paired with the rest of your rustic bathroom design, this faucet's pipe-like construction and unique wheel handle truly transforms your bathroom vanity. Bathroom storage doesn't have to be complicated. 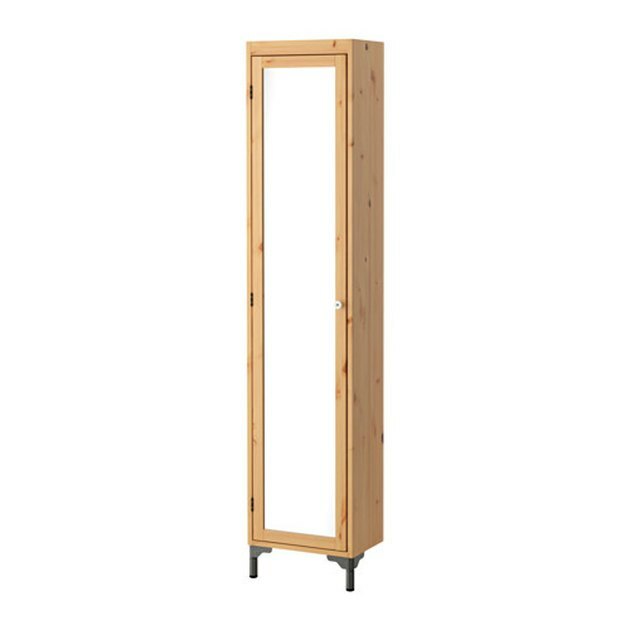 This Ikea cabinet feels stripped down thanks to the visible wood grain. Complete with a full-length mirror, it's a one-stop shop to help you and your bathroom stay organized and looking great. 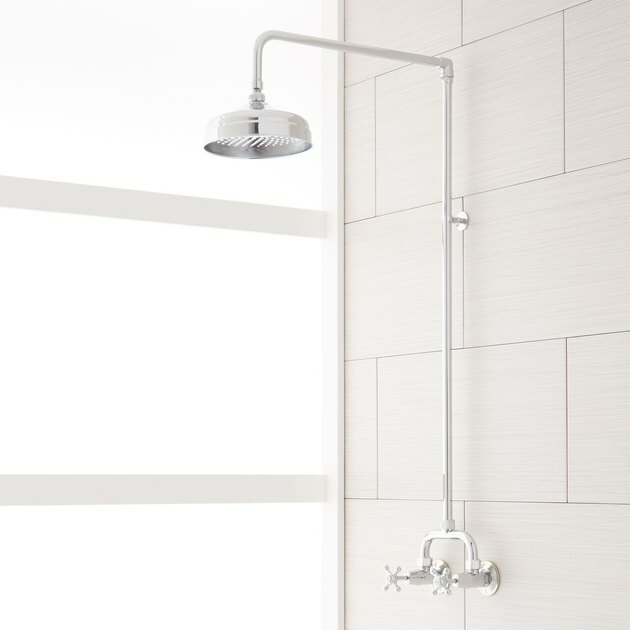 The best part of this timeless shower unit is the rainfall showerhead, but we're also really digging how the exposed pipe complements a rustic theme, transporting you back in time. 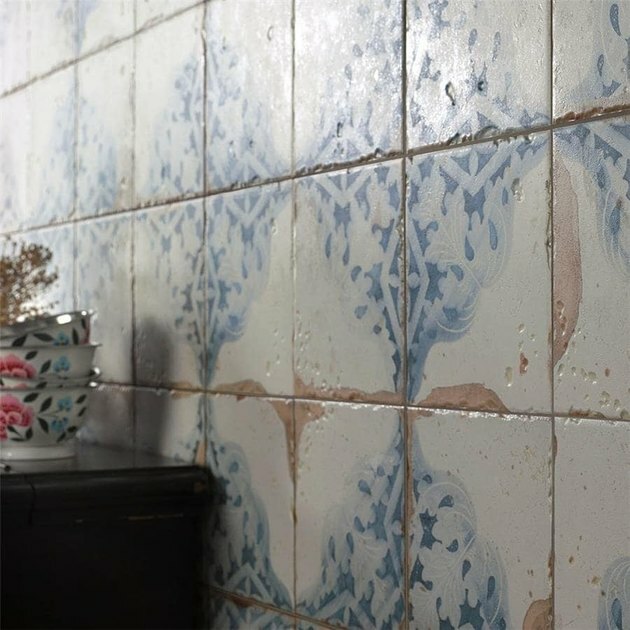 Distressed blue floral ceramic tiles can be used on the floors and walls of any bathroom for a slight vintage feel. These Spanish-inspired, low-sheen tiles vary in tone to create an aged look over time. Despite the aged look, the tiles are made with an easy-to-clean surface perfect for a highly used space like the bathroom. 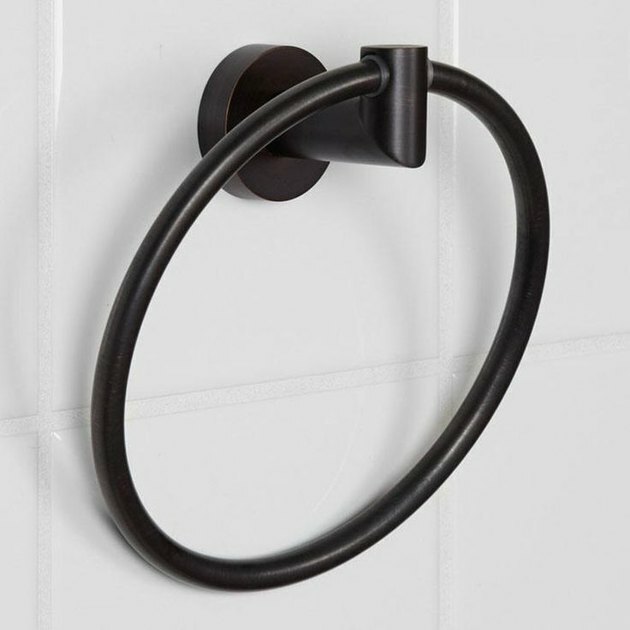 This versatile solid brass towel ring attaches to the wall for function and style. Paired with luxurious cotton linens, this classic accessory adds a bit of rustic charm to any bathroom design. 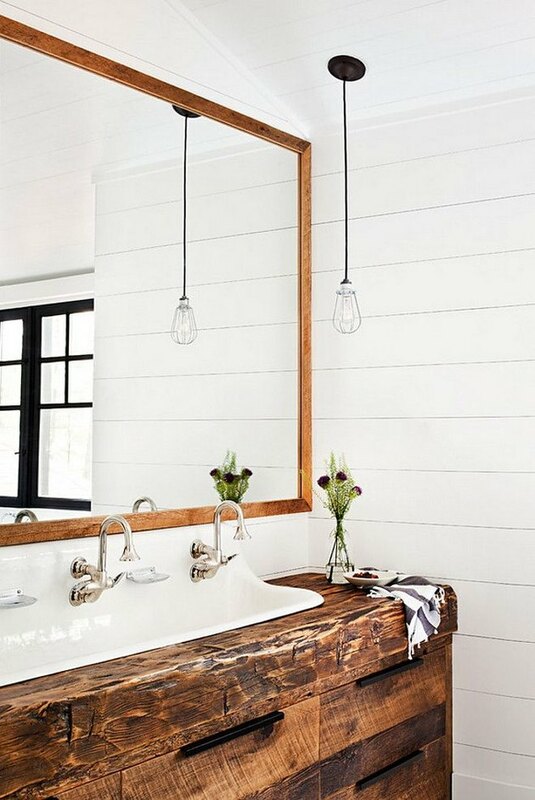 A rustic bathroom isn't complete without a soaking tub. 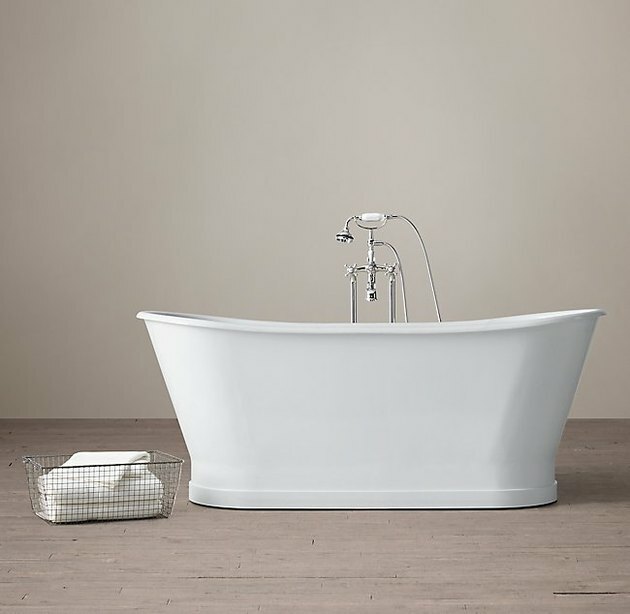 Despite the old-fashioned look, the bathtub is made with state-of-the-art specifications. 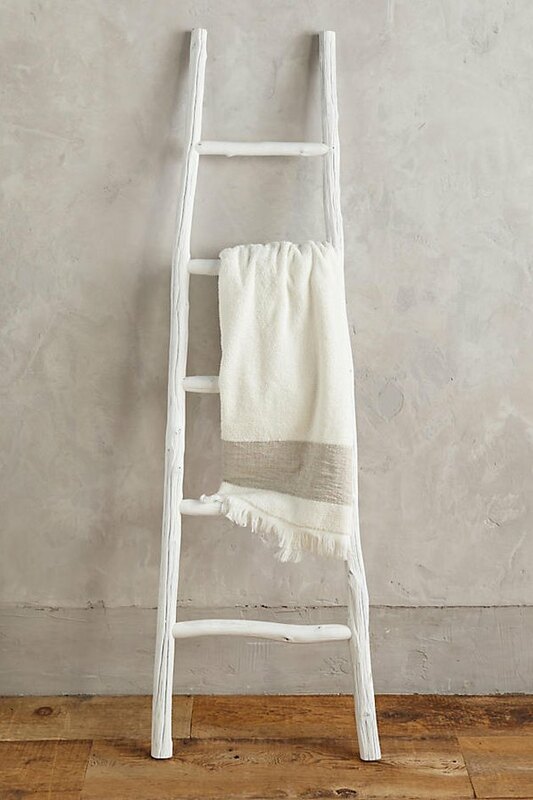 Simple and pastoral in design, this white-painted ladder is an ideal rustic option to show off bathroom linens. It's also a great storage option for small spaces. Try this in a guest bathroom, so guests won't have to guess where the linens are kept. 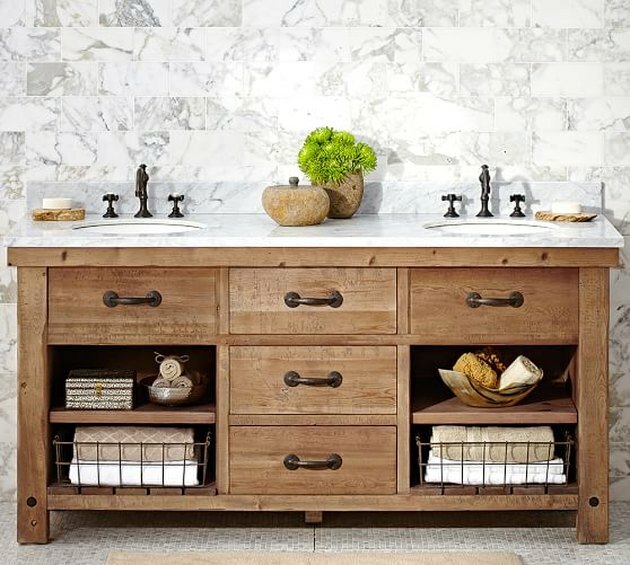 An easy way to incorporate a bit of rustic panache to your bathroom is to bring in pieces with natural elements. 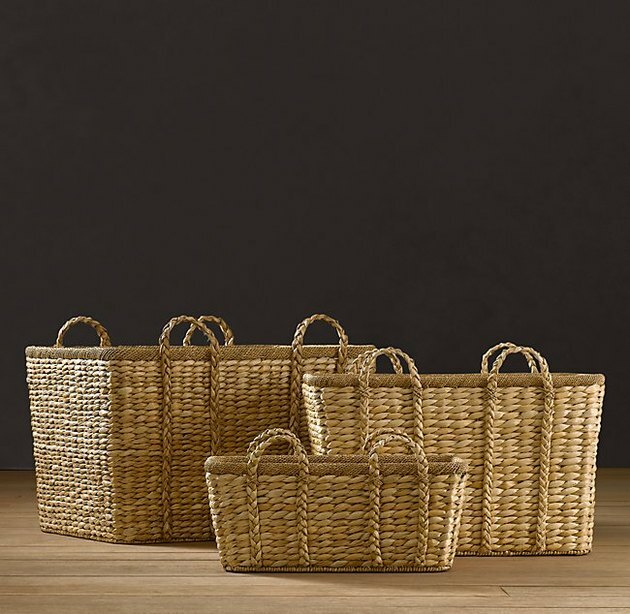 Try these woven baskets made from natural seagrass to store towels or laundry. Crafted in Portland, Oregon, this vintage-inspired brass wall sconce is a great option for a rustic bathroom. 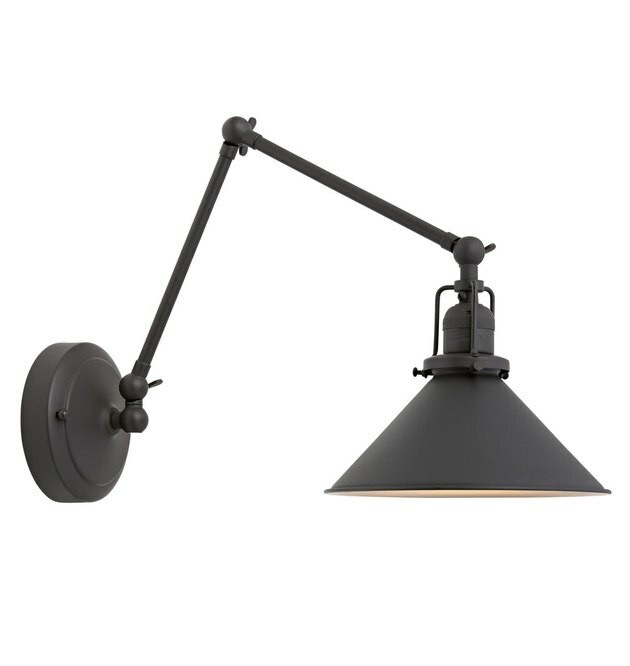 The adjustable swing-arm provides targeted light and a valuable range of motion to give you lighting where you need it most. 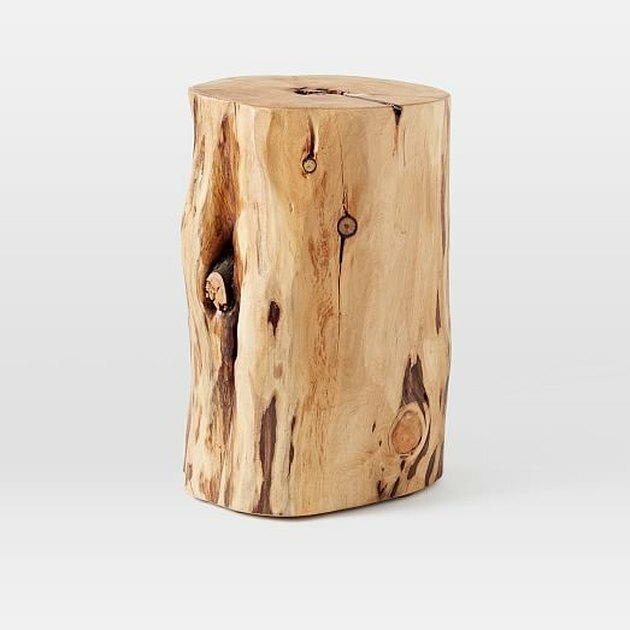 Made sustainably from naturally fallen cypress trees, this side table is a truly unique find. Each piece is one-of-a-kind, and brings the outdoors in for you to enjoy day after day.